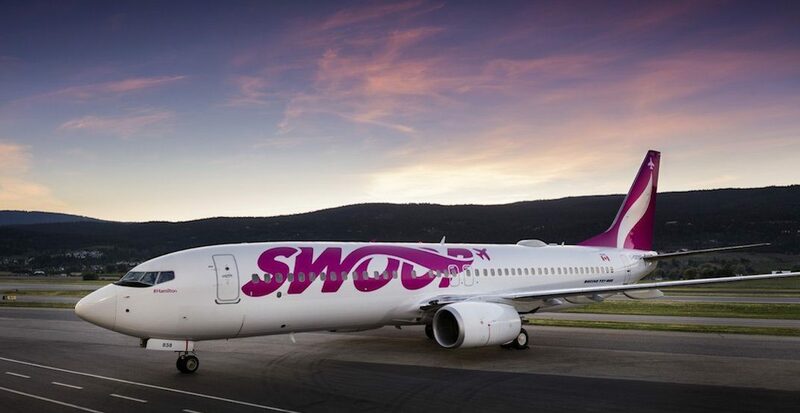 Almost a year from when Swoop first announced flights as low as $7.50, the Canadian ultra-low-cost carrier has launched a new sale. The 2019 Swooper Sale kicks off on January 8 and will run until January 10, at 11:59 pm MST. 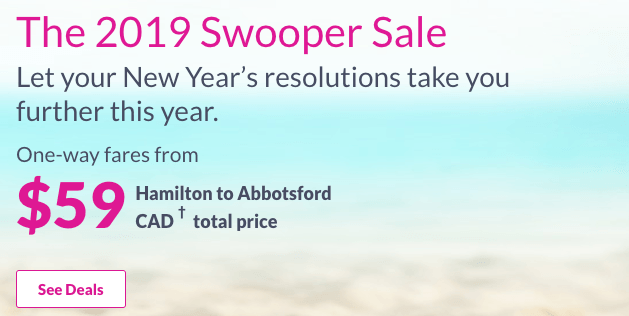 Flying out from Hamilton (ON), Abbotsford (BC), Winnipeg (MB), and Edmonton (AB), travel to almost all Swoop destinations will be on sale for flights between January 22 and March 6, 2019. Although, blackout dates will apply between February 13 and 19. Sample flight costs include one-way fares of $59 from Hamilton to Abbotsford, taxes included. Swoop is WestJet’s ultra-low-cost carrier (ULCC). That means you’re just paying for your seat, and are limited to one personal item. This item must fit under the seat, and is limited to the following size: 41 cm x 15 cm x 33 cm (16″ x 6″ x 13″) Additional carry on or checked luggage will cost you, depending on where you purchase the added fees.